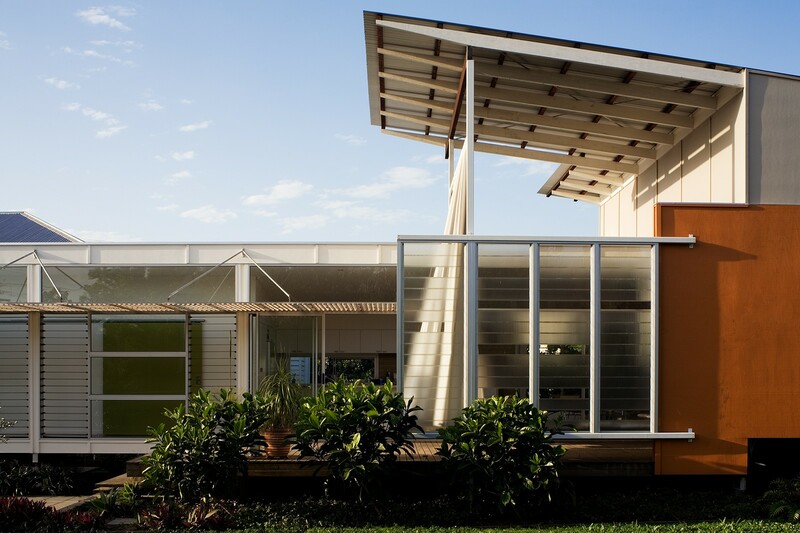 The ‘Mini Pod’ was a collaboration between the Reddog student cohort and local artisans Smith and Others. 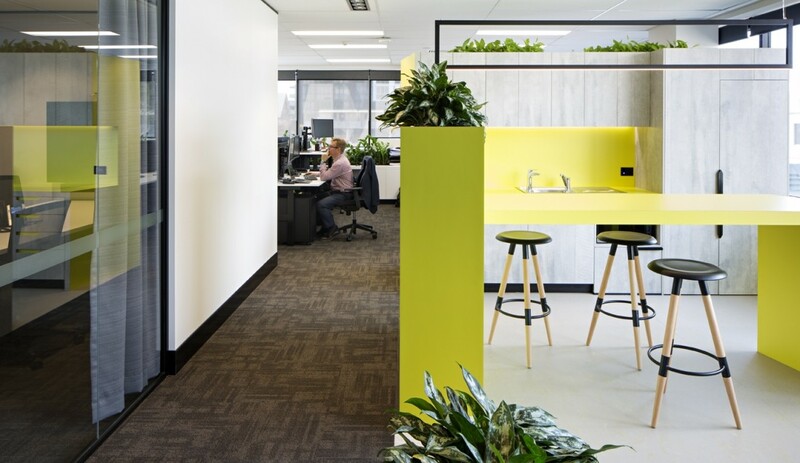 A structure was crafted to display milestone projects from Reddog’s journey and to communicate the design concepts behind the new office fitout. 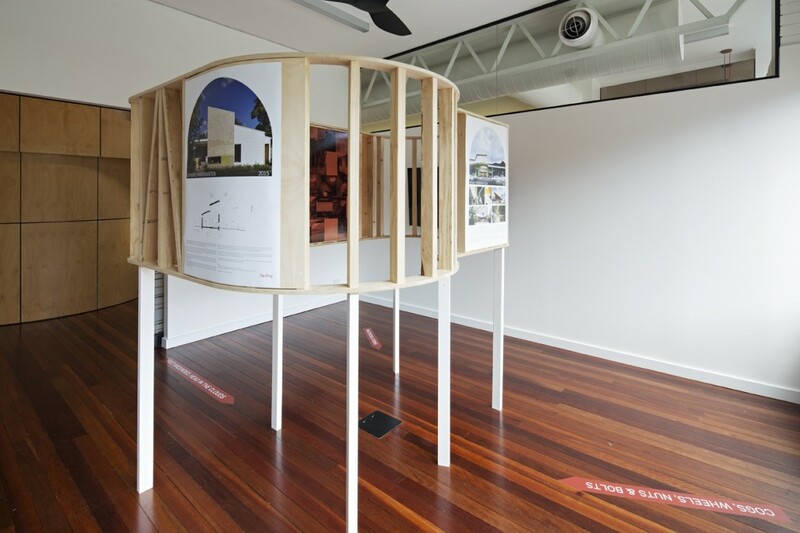 Reddog Architect’s new office fitout features a curved plywood ‘pod’, which acts as the machine room or ‘brain’ of the office, housing the amenities and technical equipment, crucial to the day to day function of the space. The ‘Mini Pod’ is a large scale model real ‘pod’. 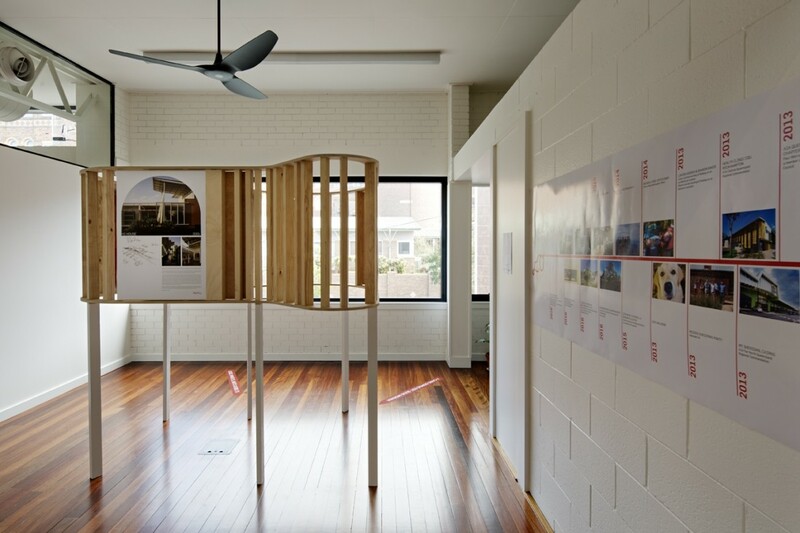 An abstract installation at a scale of 1:2.7, the ‘Mini Pod’ was designed to reflect the key values, office culture, and personality of the company. 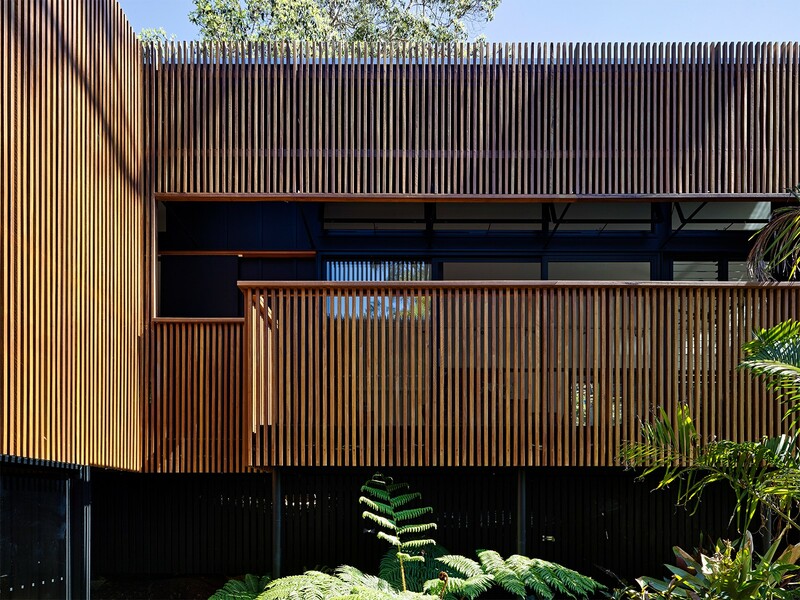 A simple material palette was chosen to reflect familiar building elements found within the Queensland vernacular. 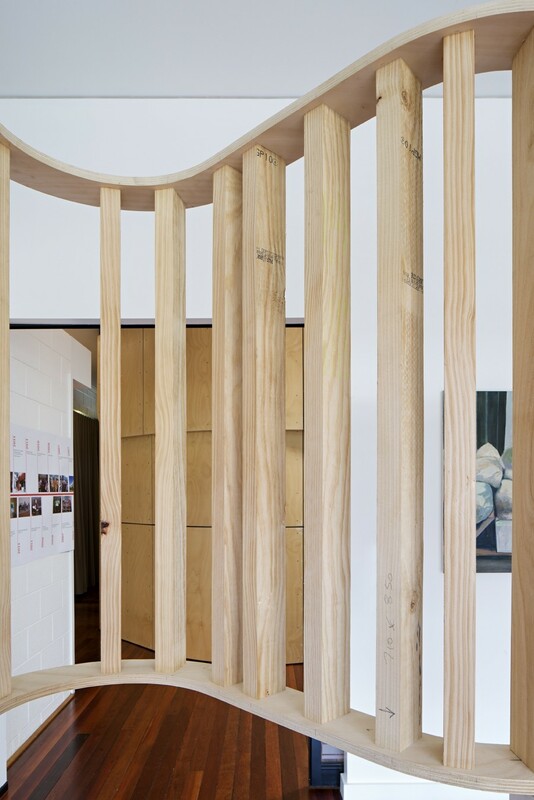 Vertical timber studs form the primary structure, arranged to create a rhythm as one circulates around its perimeter. In areas where the vertical elements cluster, the user is encouraged to pause and observe the panels displayed on its external face. 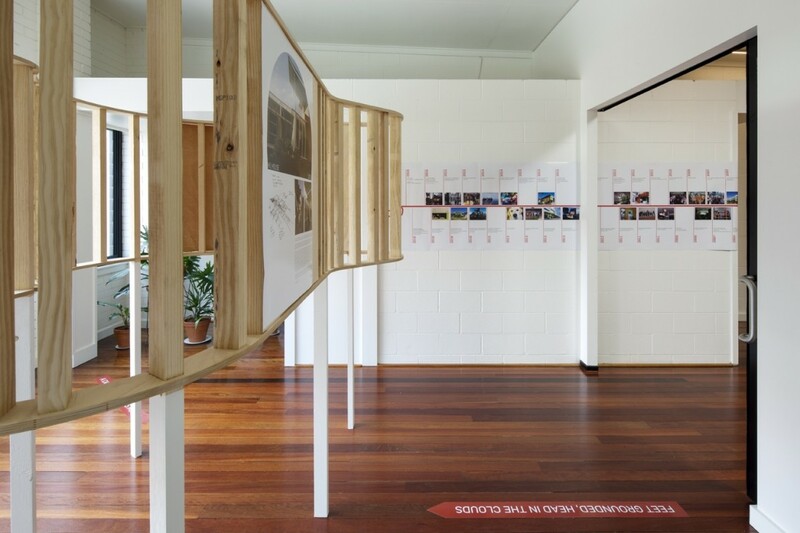 In other sections the stud setout expands, creating sight lines into the centre of the ‘Mini Pod’ and framing views of the exhibition space. 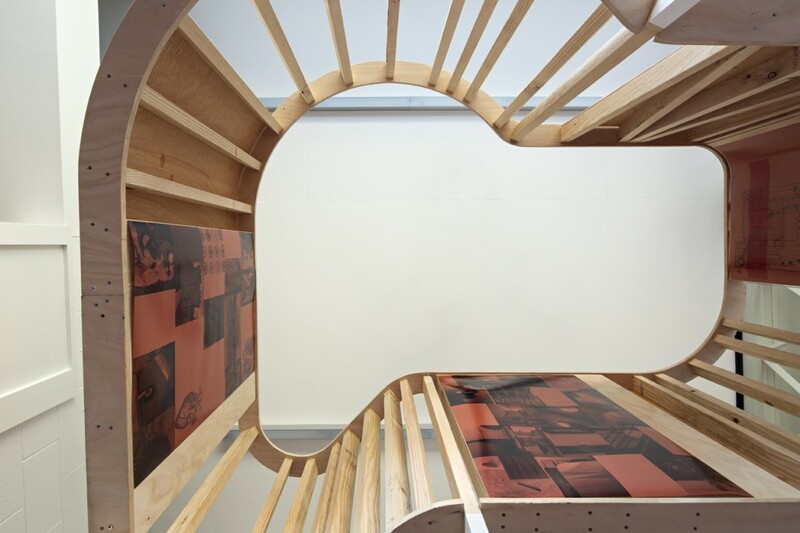 The interior of the pod represents the heart and soul of the office, using collages of red hues to communicate Reddog’s innermost aspirations for the office fitout and workplace culture. The ‘Mini Pod’ will be re-purposed within our office to create a permanent aedicule for quiet contemplation… The journey continues!